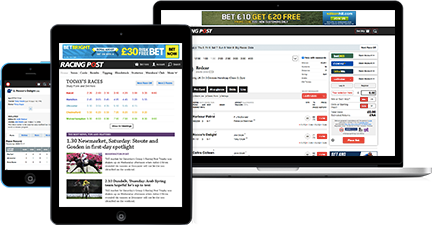 The Racing Post is famous for its tipping service, and Ultimate members can now benefit from receiving all of our betting advice the night before racing, giving you the edge on market prices. 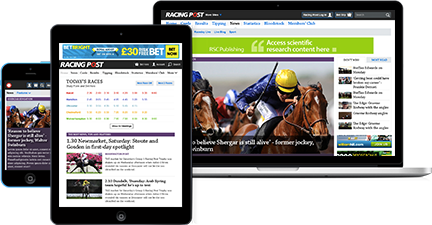 In addition our award winning newspaper coverage and features are produced online in real time for our members, helping you stay up to date with the world of racing wherever you are. Do you need concise information that greatly reduces the time-consuming elements of form study? The Racing Post’s expert handicapping team provide a handcrafted rating against each horse, while Topspeed ratings assess previous performances using standard course and distance clock times. Statistics quickly show a percentage figure for a horse’s form against vital course, distance and ground conditions. Our experts condense a whole day's racing information on trainers, jockeys and horses into one page of unrivalled punting pointers, providing an invaluable tool for our Ultimate members. Spotlight comments give an experienced insight into every runner, and our faultless results analysis, compiled by our expert team of race-readers and analysts means you can rely on accurate in-running and post race commentary to shape your opinion of each horse on the racecard.